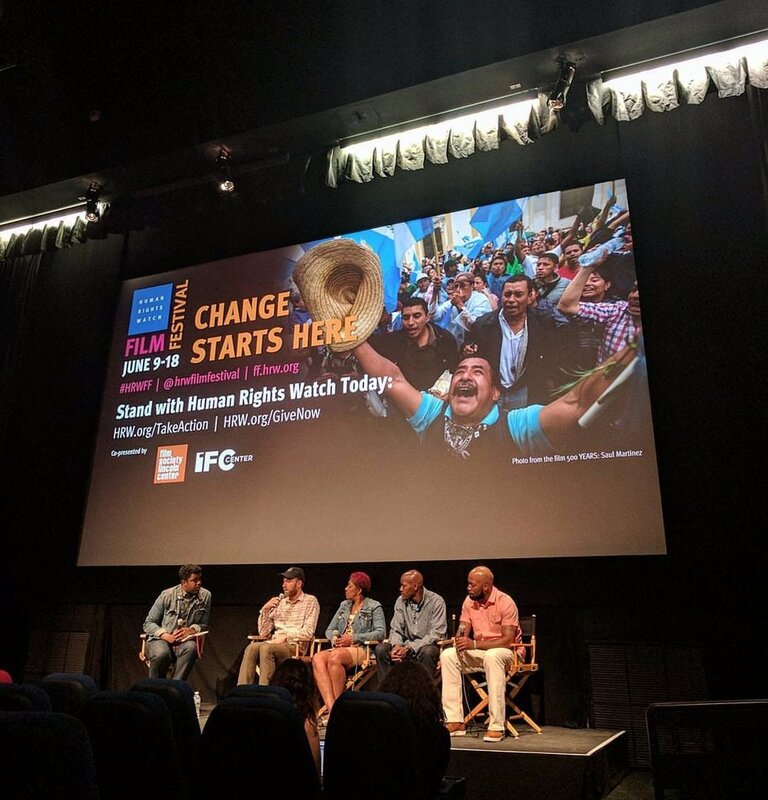 Marshall Project journalist Donovan Ramsey moderates a post screening Q&A with Filmmaker Erik Ljung, and film subjects Maria Hamilton, Nate Hamilton, and Dameion Perkins at Human Rights Watch Film Festival in New York City. The Hamilton family addresses Milwaukee Public School students after a screening at Roosevelt Middle School. The film is now available for educational licensing (DVD’s, Streaming, Public Exhibition, etc). Members of the family and filmmaking team are also available to participate in post screening panel discussions and Q&A’s. If you would like to invite someone from the film, please contact us directly at info@thebloodisatthedoorstep.tv, otherwise follow the link below for educational licensing details. If your company or organization is interested in hosting a screening of the film, please contact us directly. Members of the family and filmmaking team are also available to participate in post screening panel discussions and Q&A’s. post screening Q&A with family of Dontre Hamilton and filmmaker. 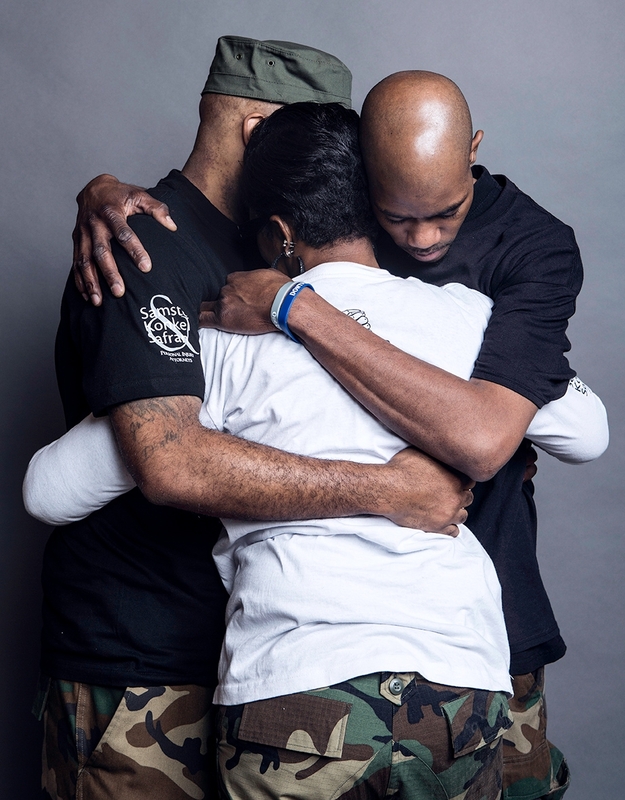 Filmed over the course of three years in the direct aftermath of Dontre's death, this intimate verite documentary follows his family as they channel their grief into community organizing in an attempt to reset the narrative. Offering a painfully realistic glimpse inside a movement born out of tragedy in what the Hollywood Reporter calls "An urgent report from the front lines of an American crisis." Michael T. Vollmann’s editing credits include HBO, ESPN 30 for 30, CBS. He most recently directed the documentary “The 414s” (CNN Films) which premiered at the 2015 Sundance Film Festival. Michael D.P.’d the feature doc “The Jeffrey Dahmer Files” (IFC) (2012 SXSW) which became a New York Times Critics’ Pick.